Our Doggie Day Camp service is now open. 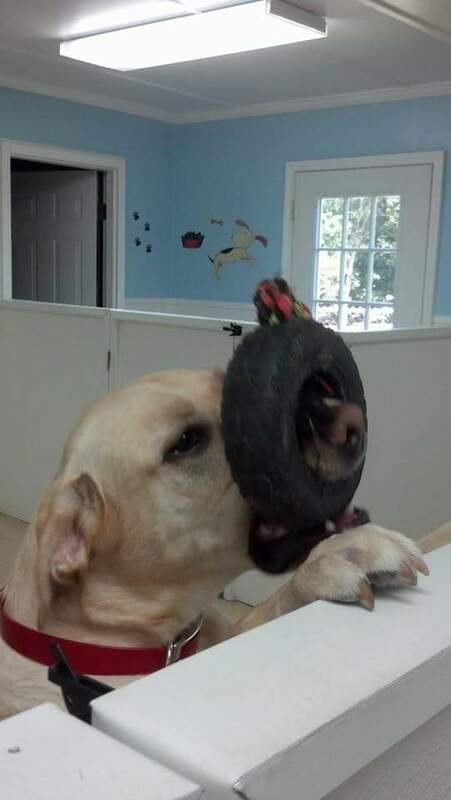 Why bring your dog to day camp? Is your dog home alone all day? Bored? Lonesome? Destructive? Is your dog in need of exercise? Is your dog begging for attention when you are ready to relax? If the answer to any of the above questions is “yes”, then chances are your dog would really enjoy day camp. 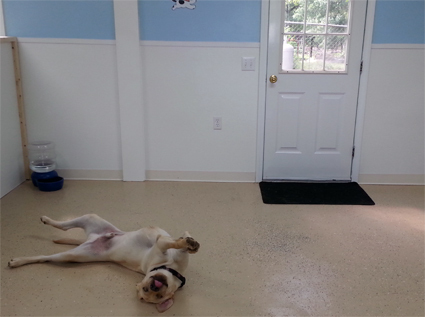 If you need to be gone for the day, whether if be for work, or a special outing, treat your dog to day camp. 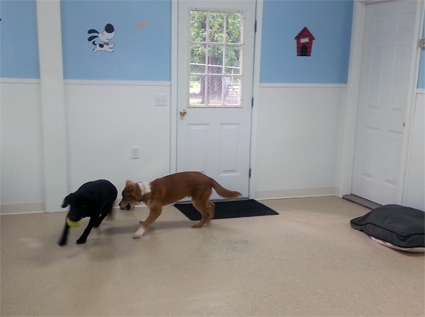 At day camp, dogs have playmates for social interaction and companionship. While there is constant supervision for safety, dogs can play with one another in a free environment inside and outside. Toys and games are provided along with comfy dog beds for anyone who needs a little rest. 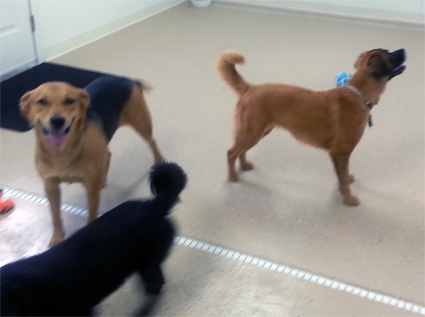 The social interaction helps timid dogs gain confidence. The activity will encourage the couch potato to exercise while having fun; and will keep the high energy dog entertained so not to be destructive due to boredom. Come as often or as occasional as you like! Pick up between 4:00 and 6:00 pm. If you need to come between 10:00 and 4:00, let us know in advance, so we can schedule staff for the check in process. Dogs in boarding can join in on the fun too. Schedule to be at day camp during the day if you wish, and at the end of the day, back to the boarding kennel for dinner and bed time!